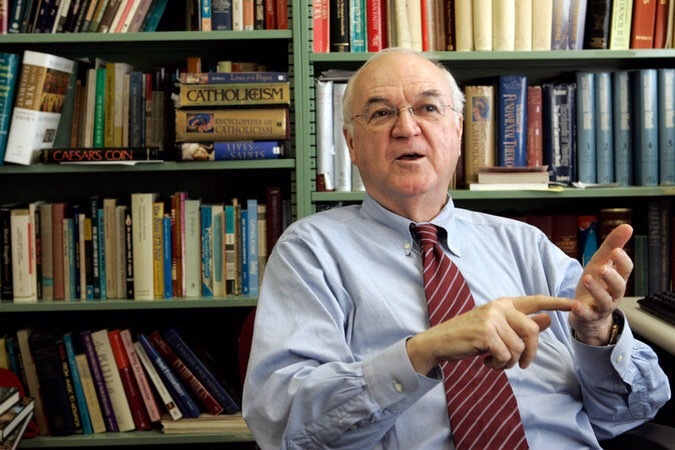 Richard McBrien — priest, theologian, mentor — passed from this life on 25 January 2015. Archbishop Leonard P. Blair will preside at his funeral liturgy on Friday 30 January. The process continues; and the challenge and the task are passed on to a new generation…. Tremors and Rumbles in San Francisco…. While I did not know this man, the description suggests he was someone who will be a sad loss in the fight to make the Church more reflective of Christ. I offer my sincere sympathies to all who loved and knew this man and suffer his loss. Know that in the life beyond, his work goes on. McBrien was a giant. R.I.P., Richard.